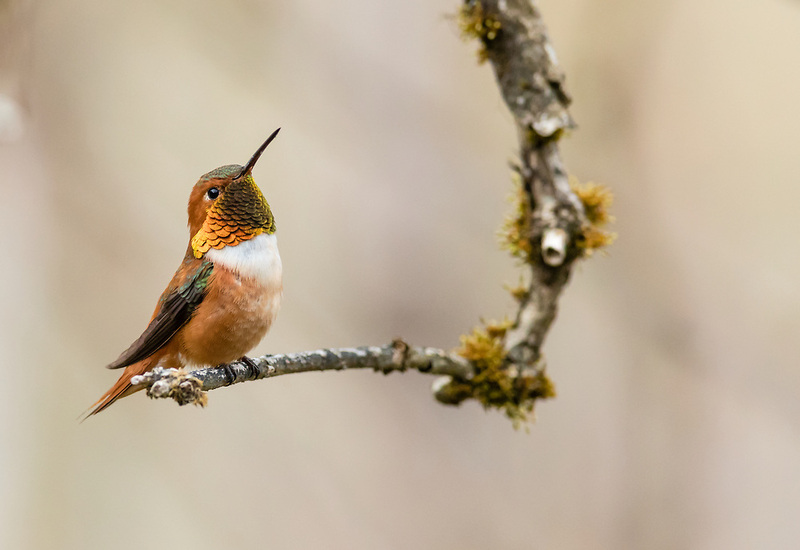 Rufous Hummingbird (Selasphorus rufus) perched on branch in Cordova in Southcentral Alaska. Spring. Evening.